Eyewear is just like any fashion industry. Even though your glasses are an integral part of your medial well-being, they are still a fashion statement that you wear every day. 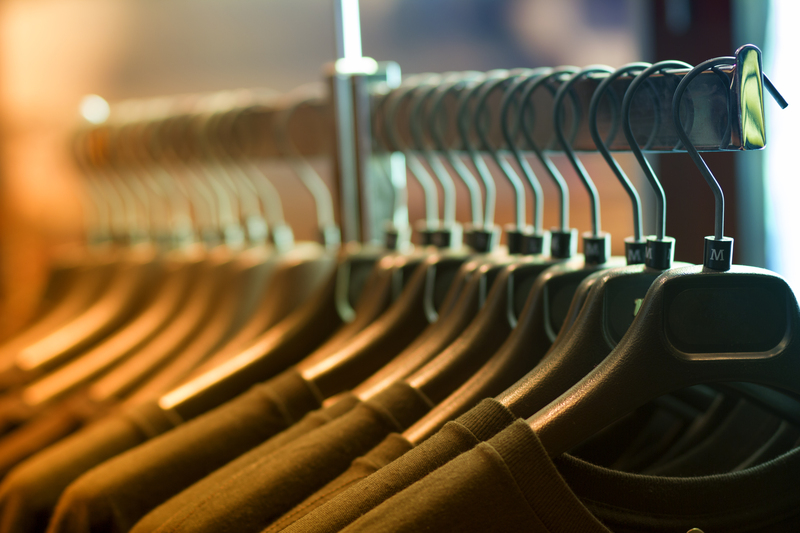 Just like any other fashion industry, there are fashion trends for each year. Here are our top 5 eyewear trends of 2018! Thin is in! While big statement pieces are on their way out the door for this year, more and more people are looking for thin, sleek frames that are light and stylish. This style is perfect for everyday wear to work, class, or anything you have planned for the day. Men tend to stick to thin frames with muted colors, while women have shown to go towards lighter hues and light crystal clear frames. TC Fit Frames that fit this style: Frankfurt, Boston, Istanbul. Dark rimmed glasses were very popular in 2017, and continue to be the look d’jour. However, more and more consumers are going back to the retro round lens that was popular in the 80’s and 90’s. Frames donning this style have been popular for a while now, but coupled with thin acetate, round lenses are making another pass this year as a must-have trend. TC Fit Frames that fit this style: Korea, Brazil. Retro styling is maintaining its top-seller position as both men and women are drawn to the timeless look. Other style trends that dominated the 70’s and 80’s are coming back as well, with styles adapting to the retro fashion sensation. Trends that are currently prominent in eyewear fashion are those that are coupled with light metal and acetate as well as aviators and cat eye frames. TC Fit Frames that fit this style: Colombia, Fiji, Korea. While some consumers still like their sunglasses with dark, thick acetate, some are being drawn to crystal clear frames with light, subtle pops of color. While this fits into the retro trend, it is worth noting that these colors are making a big impact in 2018. Fashionable lines are starting to make clear frames in almost any size and shape, with light pink, blue and green hues being the most prevalent. TC Fit Frames that fit this style: Boston, Osaka, Korea. While people are spending more and more time on computers, both for business and recreation, the sales of blue light blocking lenses are sky-rocketing. 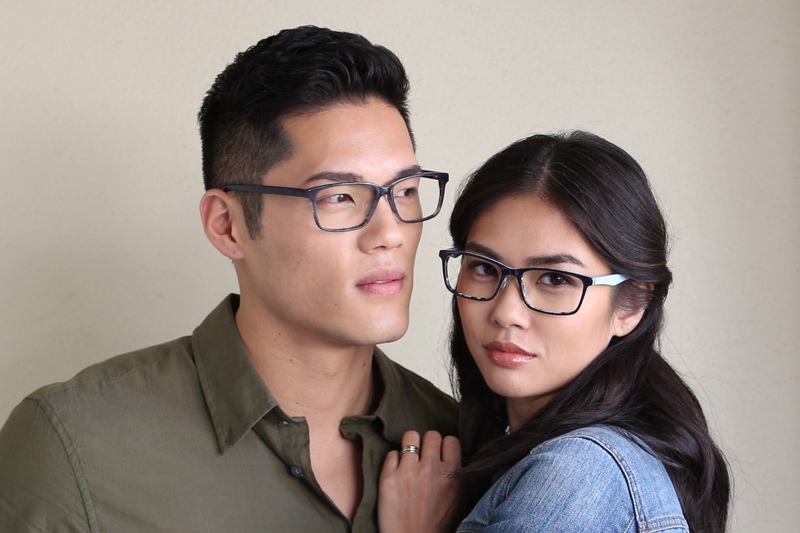 Companies like Pixel and Felix Gray that specialize in only blue light blocking frames are very much in demand. It’s well known that looking at screens all day can start to cause eye strain and headaches from harmful blue light rays, so it’s no question why people are searching for blue light blocking lenses left and right. Here at TC Fit, we want to offer fit and style while also protecting your eye sight. TC Fit Frames that fit this style: All of them! Any TC Fit frame can be custom fitted with blue light blocking lenses! The key to staying in style is knowing what’s trending. Eyewear fashion is constantly changing, adding more and more styles to choose from each year. With spring just around the corner, now is the perfect time to experiment with your look and try out some new trends and TC Fit has you covered. This season, whether you go for crystal clear with a pop of color or thin tortoise acetate, find your fit and choose your style with one of TC Fit’s Asian Fit frames. Well… in some ways you’re right. Buying glasses is easier now more than ever. You get your prescription from your optician, go home, find some cheap frames on the internet, insert your lens power and your credit card information and then in just a couple of days you have a pair of glasses at your door and ready to wear. So why would you leave and go to your practice to get your frames? The answer is simple, and one that we stress throughout our company. Your glasses have to fit. When you go to a practice to shop for frames, you are dealing with experienced opticians that are trained to help you find the kind of frame that will fit you well, look great on you, and handle your prescription. I can’t tell you how many times friends of mine have bought $15 frames off of a mass market website and couldn’t wait to wear them, only to have them be too small, too big, or just flat out ugly. Shopping for your frames at a practice also gives you reliability. If you get home and realize your frames are too tight behind your ears, you can take them back up to the optician and have them adjusted. It’s this kind of service that makes optical practices so valuable to our industry. 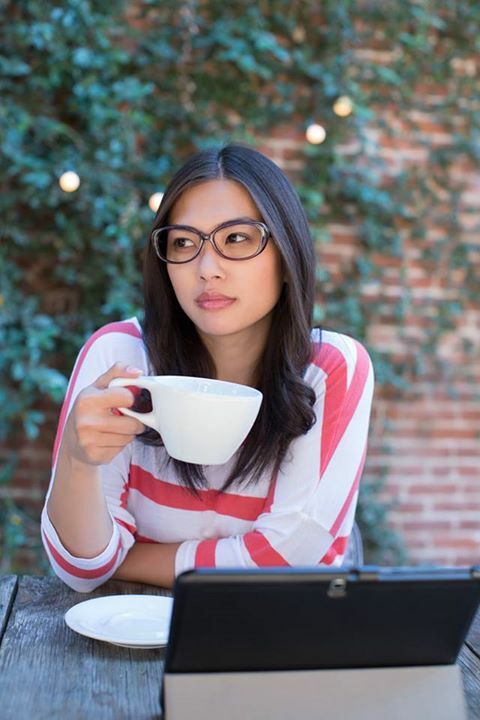 Chances are, if you get glasses online, you’re going to have to take them up to an optician to get adjusted anyway, which uses their valuable time and is taking advantage of a free service when your cheap frames break or go crooked. Shopping for frames at your practice gives you the opportunity to find good looking frames made with high quality material, as well as frames that fit well and can be adjusted to fit your face right then and there. When you’re filling prescription lenses, an optician will measure your PD, or pupil distance, a measurement which is vital to being able to see well through your lenses and simply cannot be replicated online. Finally, your optician will be able to recommend which types of lenses are best for your vision, which they can only do because they know so much about you as a patient and are able to try different options. Now, that’s not to say that all online eyewear retailers are bad or are trying to destroy the industry. Purchasing readers and computer lenses online can be quick and easy and a lot of online retailers provide some sort of virtual or trial fittings to make sure you are getting the right pair for your need. However, if you are looking for frames that you will be wearing all the time and have to be filled with your prescription, it’s no question that shopping with an optician is the only way to go. Next time you go to the optician, take a look around the practice’s frames and talk to your optician about finding the perfect frame for you. You might just be surprised at what you can find. I am not typically brand loyal and I hardly ever pay attention to designer labels. I watch fashion shows as the colors and silhouettes are usually good indicators of what will be trending in the optical industry, but I never watch for a specific designer. This search for aesthetics over designer labels is a practice I use in my own personal clothing shopping, and led me to an unintentional purchase that has influenced my designs. I am addicted to a plain T-shirt that costs $130. “Black clothing makes my life easier,” says designer Alexandra Peng. reply. When I’m on the go, I don’t have time to be thinking about which colors will match, so I simply go with one that can withstand the test of time and occasions. I don’t have a favorite designer. When I shop, I look at the quality of the material, the cut, and whether the style is one that suits my own. I hardly have any time to shop, so when I do, I go straight for a few stores that are known for quality, and search for pieces that are similar to the tried and true styles that I previously owned. I never have been one to go for any particular label or designer. Until I found these T-shirts. I discovered these incredible T-shirts by pure coincidence, as I never intentionally seek them out. One day I was in a rush to find some plain T-shirts, and Neiman Marcus was the closest store near me. I ran in, asked the sales lady where I could find some plain shirts, and she pointed to a rack in the corner. I quickly grabbed three: a black, gray, and navy blue, and darted to the cashier. When she told me the amount I had to pay, I was shocked. I instantly regretted not looking at the price tags, but I didn’t have time to shop elsewhere, so I dutifully but painfully paid. What made those T-shirts different from inexpensive alternatives was not immediately apparent to me. Yes, the cut was great; they felt as if they were tailored specifically for me, but I am no stranger to clothing with a proper fit, so I still thought I made a mistake for not being a more careful shopper. But years went by and I finally took notice. I became aware of the fact that those three T-shirts are the ones I always reach for. I also noticed that after years of countless washing, they have not faded and have not lost their shape. They feel as comfortable as when I first bought them. I also finally understand what “feels like your second skin” means. Not because they are skin-tight, but it means they are so utterly comfortable that I always feel at ease while I’m wearing them. Alexandra (left) wears one of her NM Luxury Essentials black tees. I will probably wear tees by Neiman Marcus’ Luxury Essentials until the day I die or they stop the collection, whichever comes first. I came to accept the fact that paying such an exuberant amount for a plain T-shirt is my guilty pleasure. I wear them all the time, and they work well with either dress up or down: with jeans, with long skirts, layered under a blazer, and especially when I fly as they are thick enough to keep me warm while on the plane. Four years after I bought those tees, I went back to NM and got a couple more black ones. I brought them home, put them side by side with the old one, and found no difference whatsoever between them. They are exactly the same shade of black and look and feel identical. This is an era when fast and cheap fashion such as H&M and Zara are all the rage. But I refuse to shop from them because their clothing cannot withstand the test of time so one ends up creating more wastes in the landfills. I will always prefer paying more for quality and styles that actually last as I believe it’s actually better value in the long run and better for our environment. No fashion runway shows have inspired me as much as these plain black T-shirts. It shall always be my goal to create versatile, understated, and timeless elegant eyewear with quality that lasts. Looking back at 2015, there were a lot of breakthroughs for Asian-Americans in the media. Original series like Fresh off the Boat and Dr. Ken feature Asian Americans in leading roles, and Lisa Ling’s This is Life forces our society to rethink many issues facing the world today. Among these noteworthy Asian Americans, the one that has had the most impact on us is George Takei. With 411 thousand Instagram followers, 1.78 million Twitter followers and 9.3 million likes on Facebook at the writing of this blog, George Takei has impressed a lot of people. Initially known for his role as Lieutenant Sulu on Star Trek, Takei has blown up in popularity over the past few years. His quips and witty observations never fail to entertain, and he uses his charisma to his advantage as an influential political activist. After coming out as a homosexual in 2005, Takei has been involved with several LGBT groups across the nation. Notably, he was featured in the online docuseries It Got Better, which features famous members of the LGBT community sharing their struggles and success. While he admitted to feeling some trepidation when he first revealed his sexual orientation to the world, he has since never been afraid to fight for what he feels is right. So, with his track record for affecting social change, it’s no wonder that he is the perfect figurehead for the Broadway Musical: Allegiance. The story of Allegiance takes place during the internment of Japanese-American citizens in WWII. The plot revolves around young Sam Kimura (played by Telly Leung) and the struggles his family must face during one of the most tumultuous times in US history. Takei plays two characters; an older version of Sam, and Sam’s wise grandfather Ojii-san. What makes Allegiance so relevant is the fact that it broaches a topic that is rarely discussed on stage. The forced relocation of Japanese-Americans is something that many of us would like to forget, but works of art like this exist to remind us of our mistakes. Identity is a major theme throughout the play. 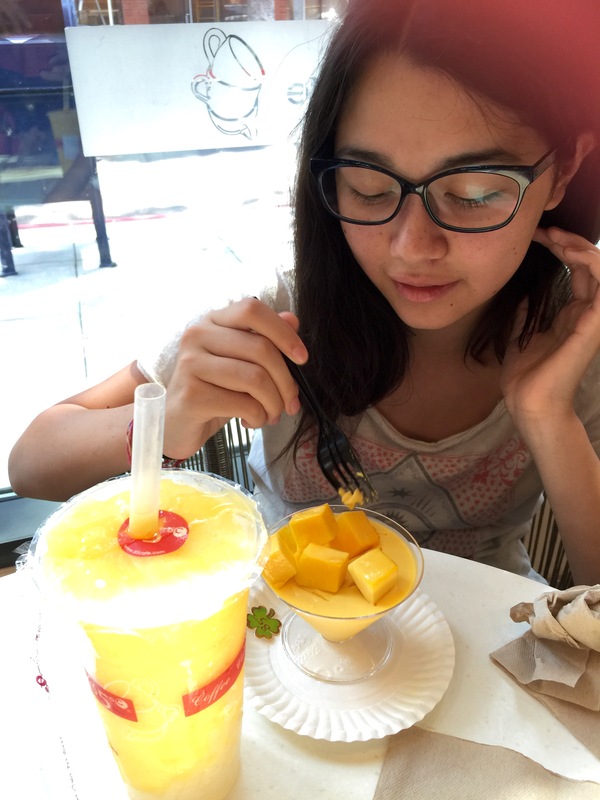 While Sam identifies more with being an American, his sister sees herself as more Japanese. This causes a rift between the two siblings that leads to several years of bad blood. The lesson Allegiance teaches us, is that the more we focus on our differences, the more it drives us apart. The best thing you can do is to be true to yourself and to accept others for who they are. George Takei has taken this lesson to heart, and it is why he has become one of the greatest icons for equality in our time. He has used his social media savvy, his celebrity status and his sense of humor to fight against the forces of oppression. George has always taught his fans that no matter what path you take in life, the most wonderful thing you can be is yourself. And we feel the same way. It is incredibly important to feel comfortable in your own skin, and that is why we created TC CHARTON and TC FIT to begin with. When you wear frames that fit you correctly, it reaffirms that you are perfectly fine the way you are. While we may not fight the same battles as George Takei, we feel that we are working towards the same goal: to help people feel good about being themselves. So, from the bottom of our hearts, we would like to thank George Takei for all he has done to make the world a better place. Going forward in 2016, we’ll try to do the same. Thank you for everything, George. That is usually what people say to me when I tell them about TC Fit, especially those who love our TC CHARTON collection. It’s true; I didn’t need to create another sub-collection. We are quickly earning the loyalty of our fans, and the practices that carry our products are doing well. Nobody complains about our prices because we have proven the value of our products. Besides, I never had any experience creating products at “lower” price points. My past professional experiences and my upbringing has shaped me into a designer/consumer of quality goods with medium to medium-high price points. I will be the first to admit that I am one of those with “expensive tastes”. However, moving my family and the company out of Silicon Valley has been a real eye-opener. We relocated to the North Texas’ DFW area, and I am delighted to find the diversity that I craved while living in the most expensive area in the country. I actually have neighbors of ALL ethnicities, and gone are the days that everyone we interact with is in the tech industry with a household income in the top 1%. I actually get to know people from all walks of life. My children no longer bring home friends that roll their eyes because they HAVE TO go to Europe AGAIN for their summer vacation. Once I got out of the unrealistic bubble of Silicon Valley, I came to realize that maybe not all people can afford our products, but still need them. People who work hard trying to raise a family, or have to work while paying for college tuition; people who are doing their part to contribute to the society but still live paycheck to paycheck; people who have decent jobs but still cannot afford to pay extra on top of their insurance coverage. I like to think of TC Fit as a simplified collection. Gone are the intricate decals, metal inserted logos inside the temples, and richly patterned Italian acetates. I still want great eye shapes. I still want the hand-laminated nose pads and tips. It’s still being produced by the same manufacturer that produces TC CHARTON, which is renowned for their craftsmanship and beautiful finishing. I still want quality and I still want to offer a great fit to those who need it. A customer just told me that TC Fit is a great addition to our existing CHARTON collection, as now he can offer great quality products to a wider range of people. “It’s not cheap. They are plenty of cheap products out there with cheap quality to match. It’s just very reasonably priced. It will never replace TC CHARTON, but it’s a great extension of your collection”. Recently, my daughter came to the office to pick a frame for her upcoming eye exam. Out of over 150 styles, she ended up picking a TC Fit frame. When I asked her why she likes that particular frame, she said: “It has a great shape, and it’s very clean and fresh looking”. That put a smile on my face. What’s Behind a Designer Brand?